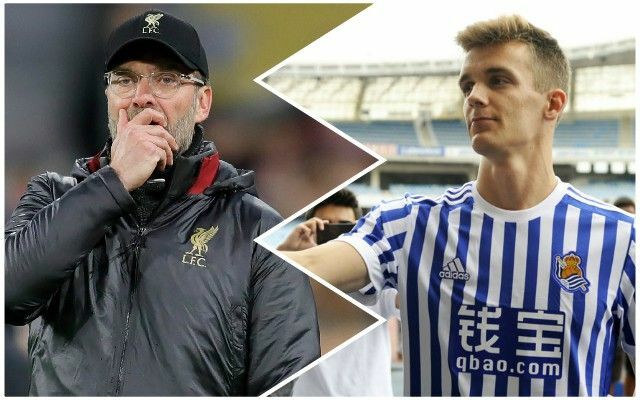 Liverpool have been named by Mundo Deportivo (via Sport Witness) as one of several Premier League sides who are interested in signing Diego Llorente from Spanish outfit Real Sociedad. The defender has a £42 million release clause, with Spurs and West Ham also among the other English clubs who are credited as watching the 25-year-old. Fellow Spanish team Sevilla are also said to be interested. Formerly a part of Real Madrid’s youth system, Llorente has played 16 times in La Liga for Real Sociedad this season. Another centre-back is probably somewhere near the top of Michael Edwards and Jurgen Klopp’s shopping list this summer, but whether Llorente fits the bill remains to be seen. With Dejan Lovren and Joe Gomez having missed a lot of the season through injury, and Joel Matip far from being reliable in the long-term, a new defender seems likely this summer, but there are plenty of options to choose from for the Reds.